How to convert YouTube links with CoolUtils tool? 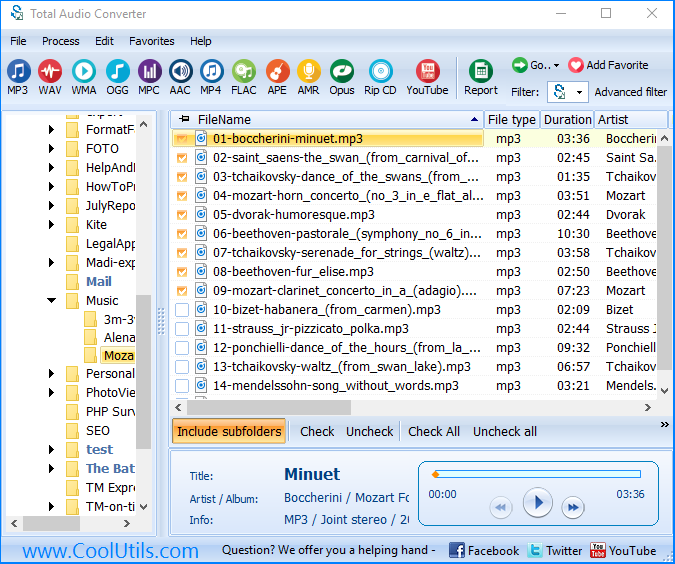 You are here: CoolUtils > Total Audio Converter > How to convert YouTube links with CoolUtils tool? Do you want to record a song from the video track you've watched on YouTube? It is a matter of a few clicks for Total Audio Converter. 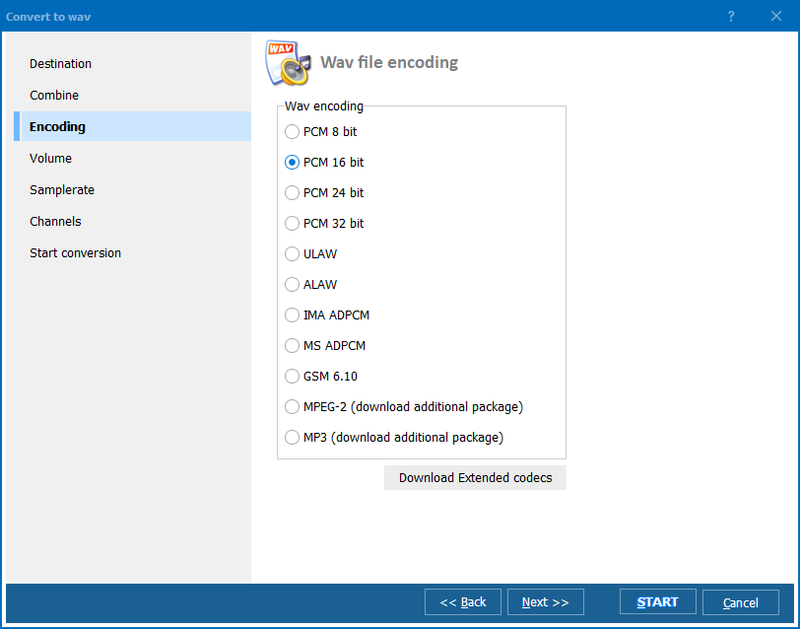 This program can extract audio from YouTube and save it to any format you need. It supports MP3, WAV, AAC, OGG, FLAC and other music file types for conversion. 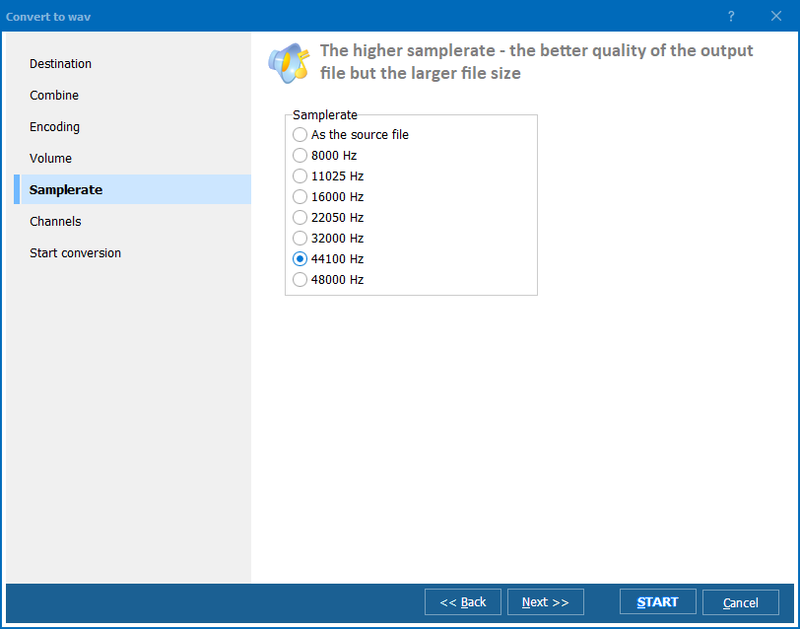 When extracting YouTube song to MP3, you can specify samplerate, bitrate and channels. By setting up these parameters you define the quality and size of the future file. Mention, the higher bitrate and samplerate is, the bigger is the size. Not all formats have the same settings. For instance, FLAC has no adjustable audio properties, as this format saves sound in original quality that is the highest possible. MPC format has only quality profile adjustable, APE allows only setting compression mode. You can always reformat the track into other file type after, if some of your devices don't support it.